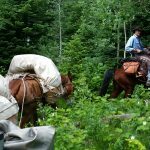 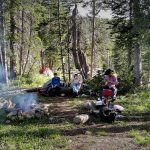 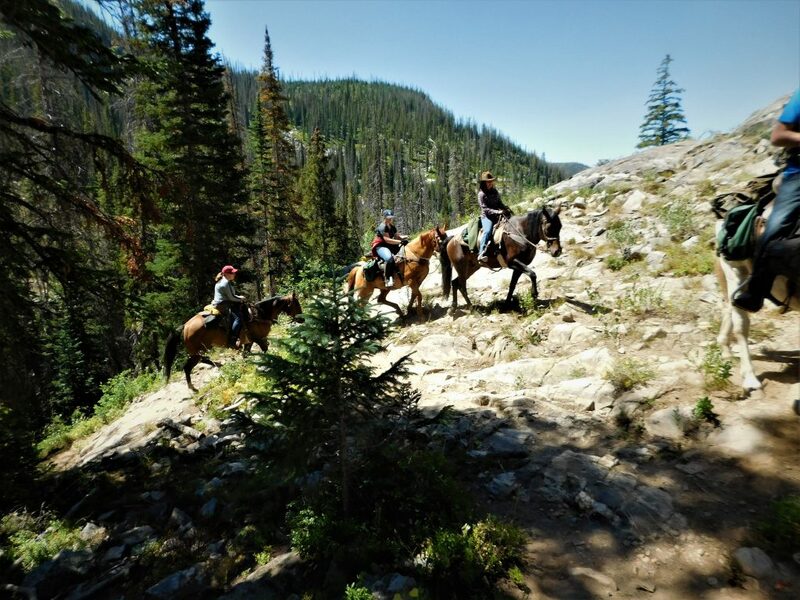 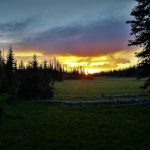 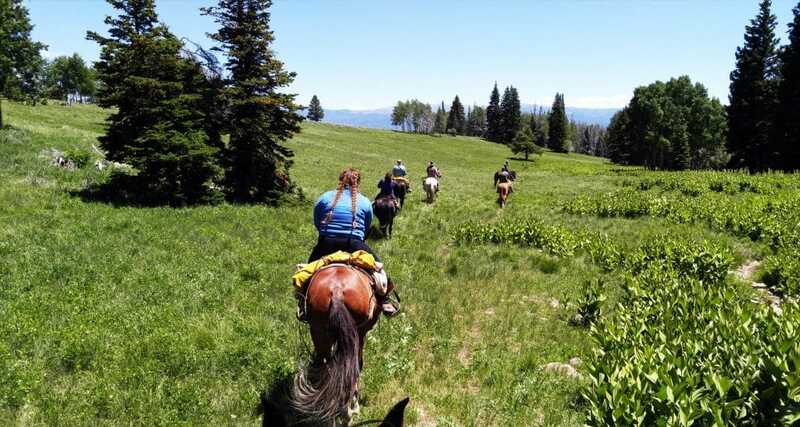 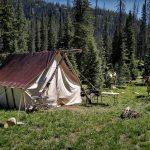 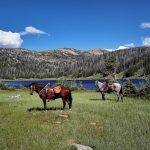 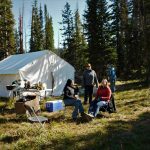 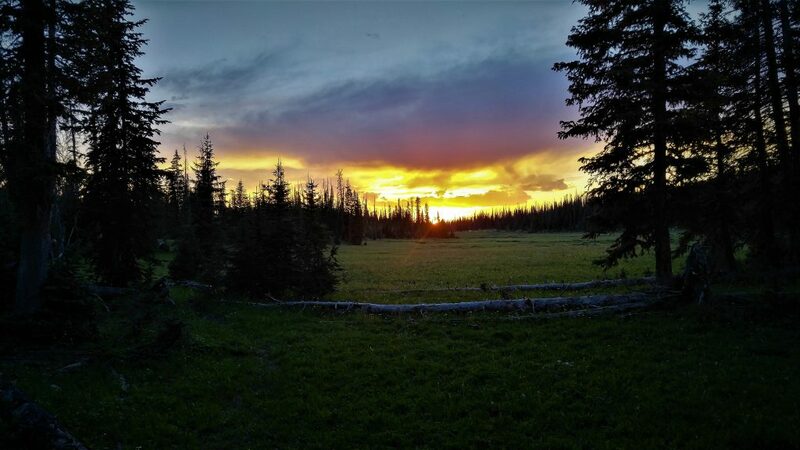 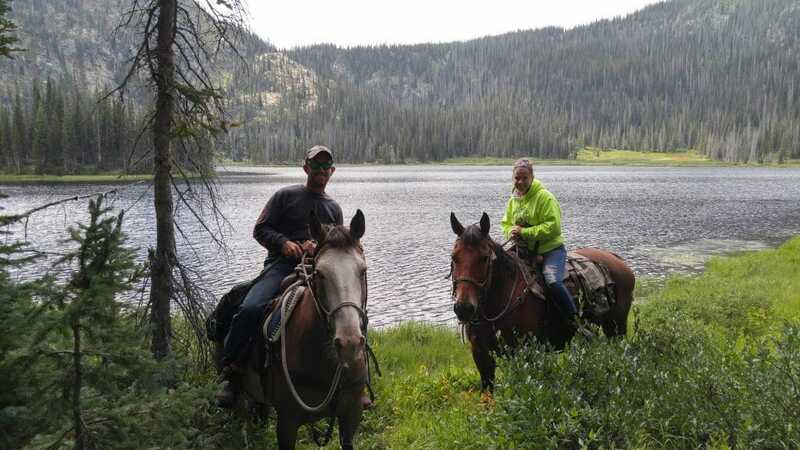 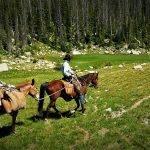 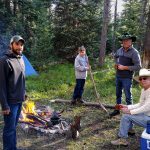 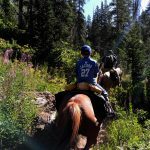 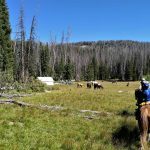 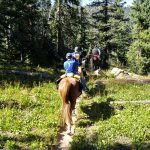 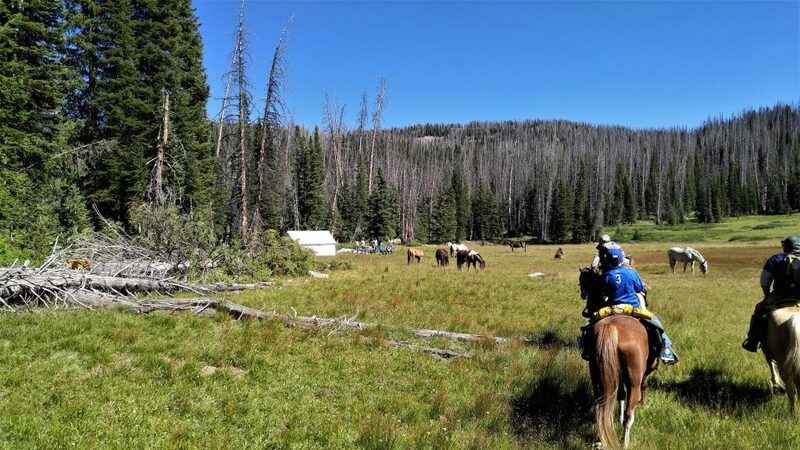 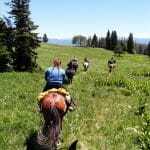 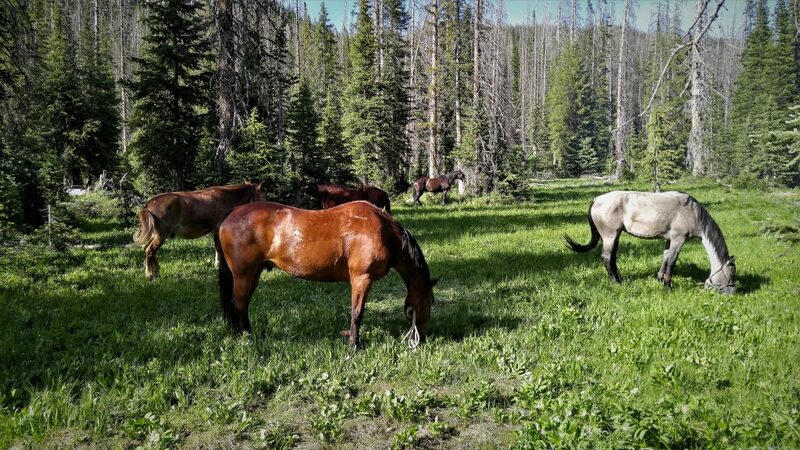 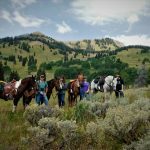 For those interested in spending some time in the backcountry and seeing more of the beauty the Mount Zirkel Wilderness has to offer, we do multi-day horseback trips into the Wilderness Area. 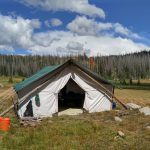 Ideally, interested parties should plan on a day packing in and a day packing out with a minimum of two to three days in the backcountry. 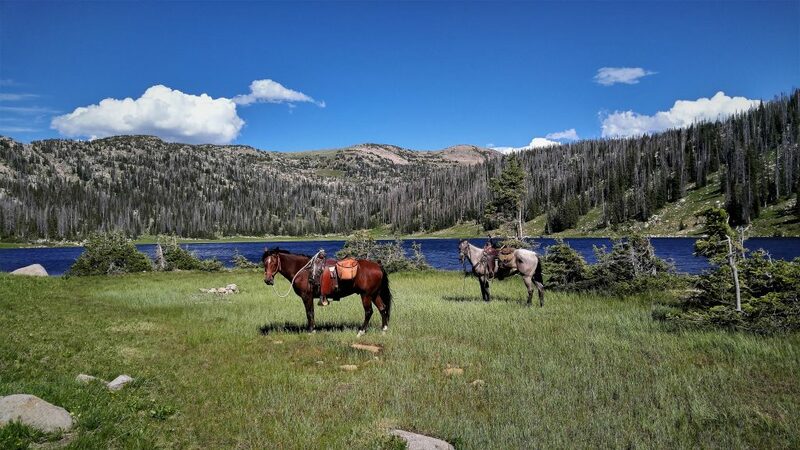 On these trips, you’ll see wildlife, wild flowers, and scenic lakes. 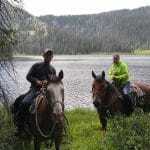 Riding the continental divide is also a possibility depending on weather. 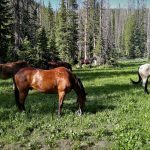 A typical day will start off with fresh perked coffee and a hearty hot breakfast while the horses are gathered the for the day’s ride. 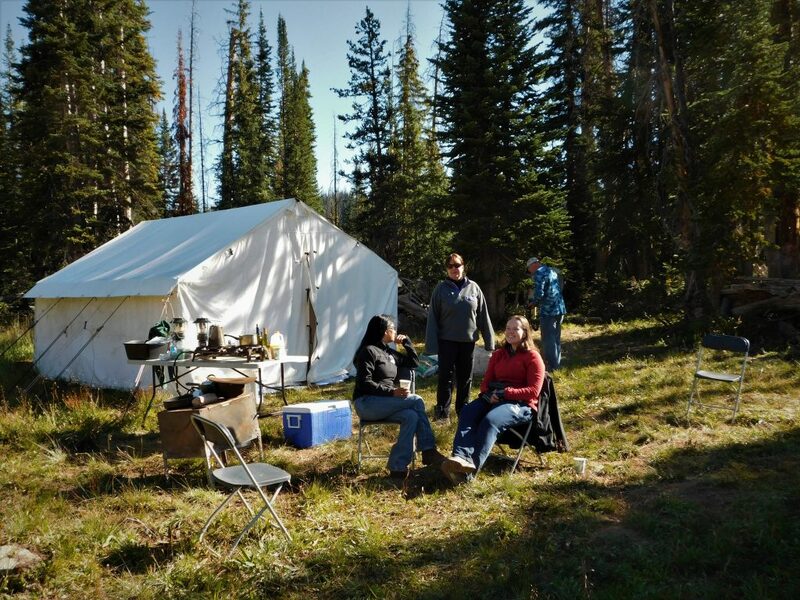 Sack lunches and plenty of snacks will be provided. 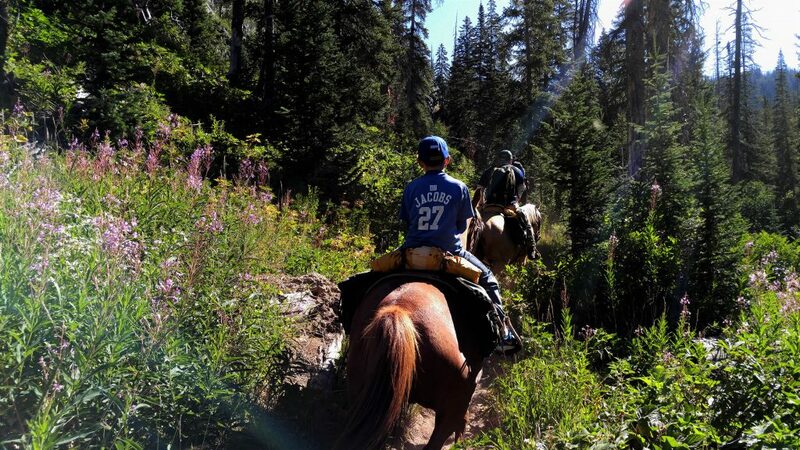 We’ll then head out for the day’s ride and adventures. 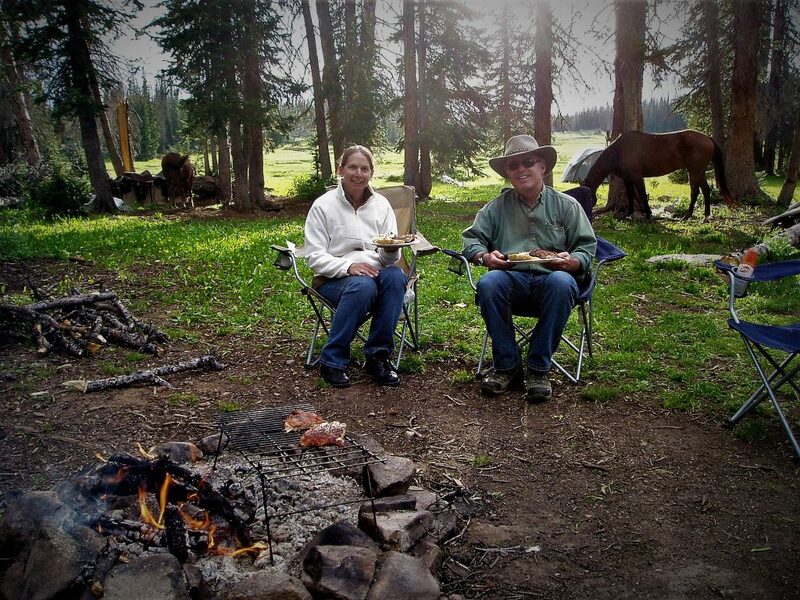 Evenings include relaxing around a campfire while dinner is prepared. 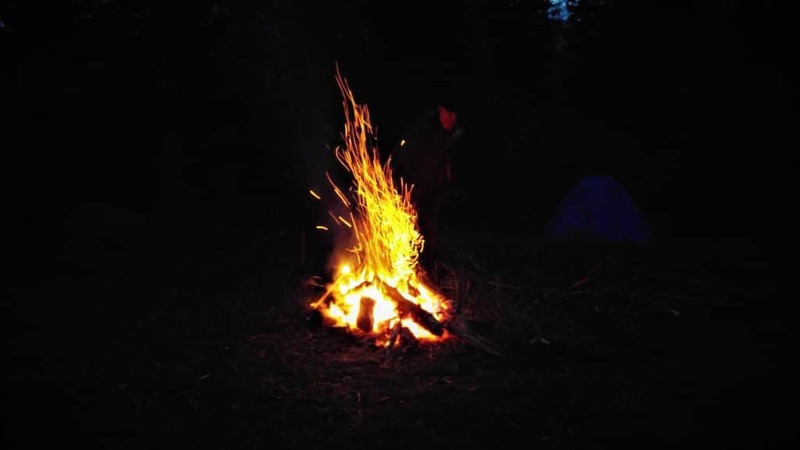 After dinner activities can include going for a walk and glassing for wildlife, photographing spectacular sunsets or just enjoying the campfire! 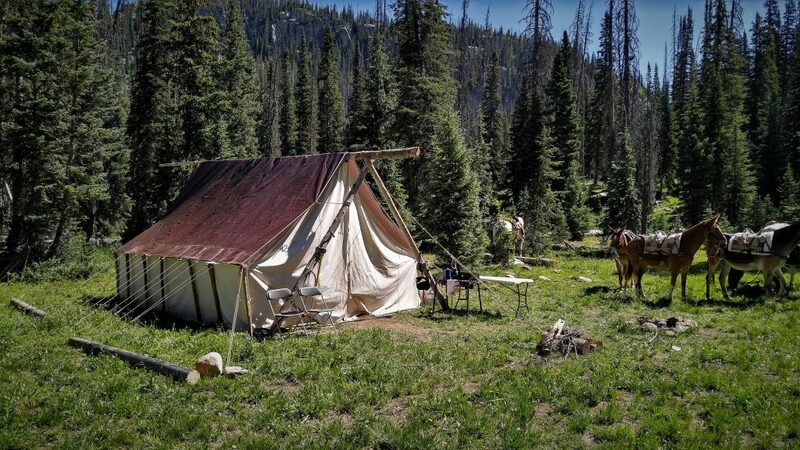 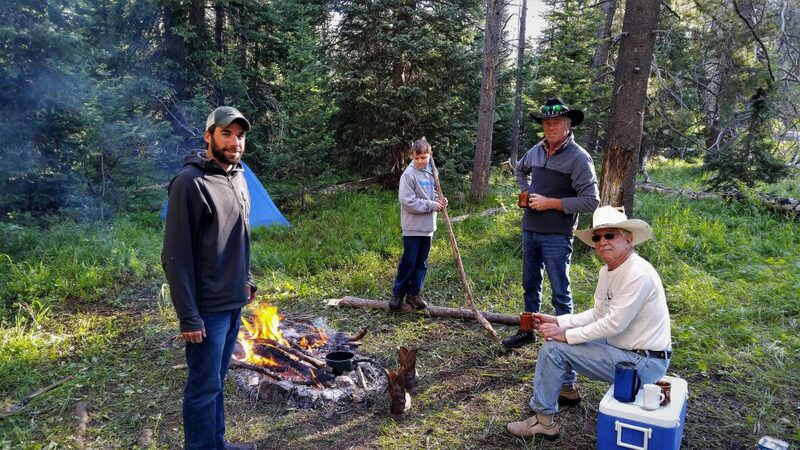 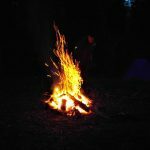 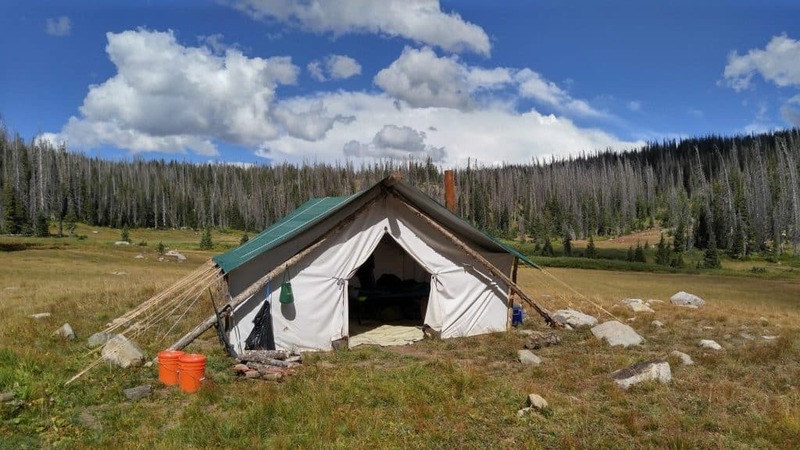 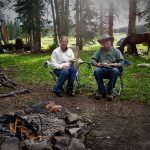 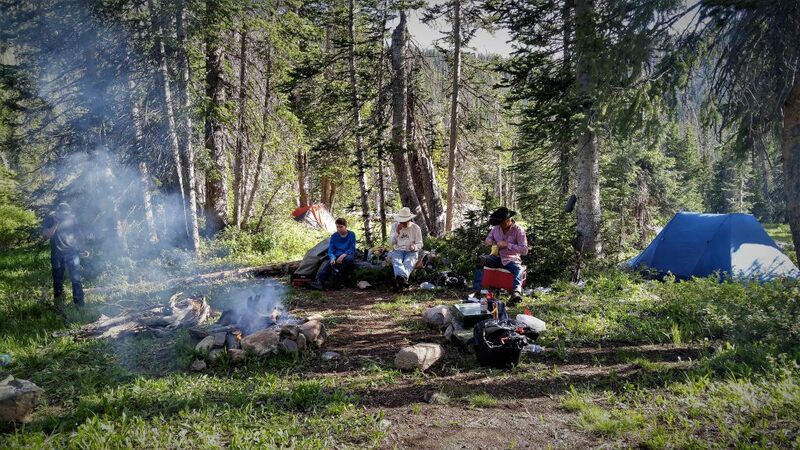 Typically, we will run these trips out of our backcountry camps which includes wall tents, cots with foam pads, chairs, a woodstove and even a solar shower with an enclosure for those who wish to clean up after a day’s ride. 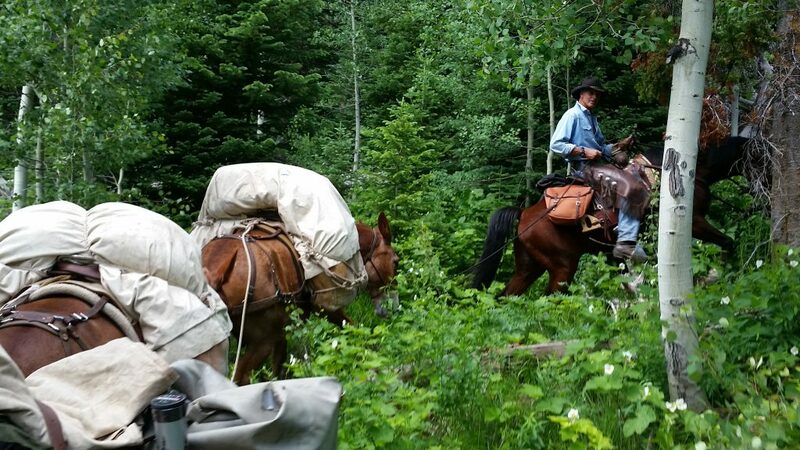 We also do pack trips where we go from camp to camp. 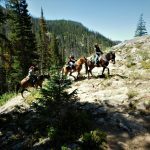 No matter what your interests are on backcountry horseback adventure, please call us and we’ll put together a trip for you. 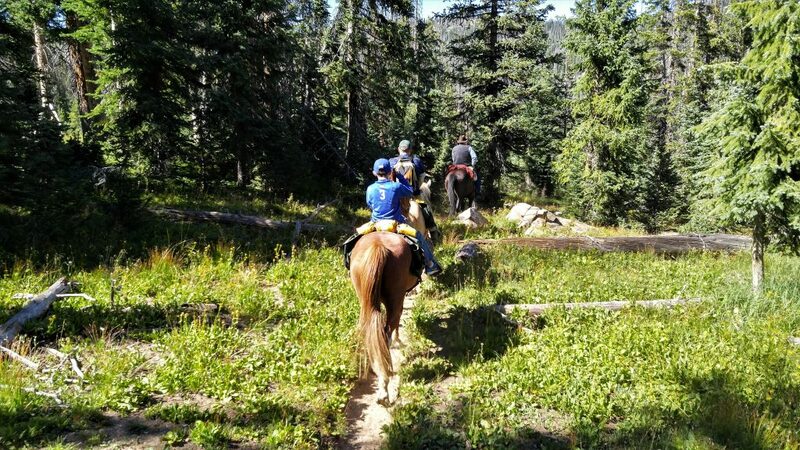 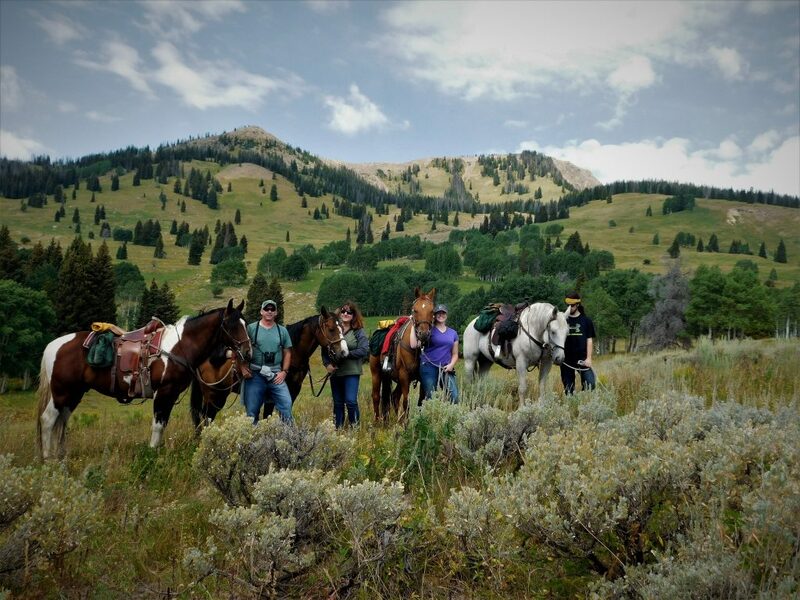 If you prefer taking daily trail rides without losing some of the comforts of home, a local horseback expedition may be for you.